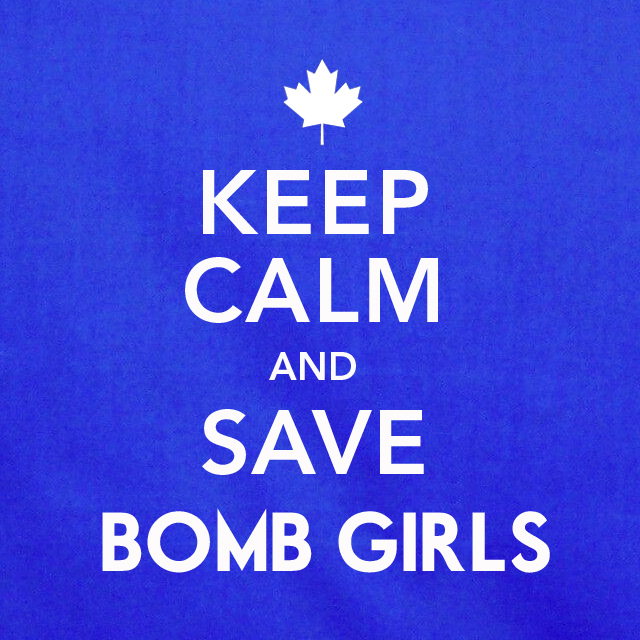 Fans all over the world were devastated to learn of Global TV’s decision not to renew the critically-acclaimed Canadian historical drama, Bomb Girls, for a third season. 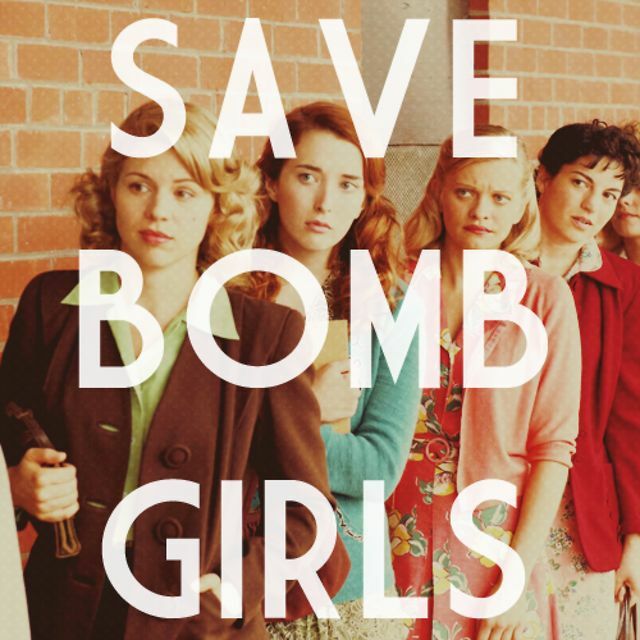 It’s no secret that we here at the Mind Reels have been in love with this show from the very beginning, and our love has only grown stronger over the past two seasons in tandem with the wonderful relationships we’ve developed with the cast, creators, crew, and other fans (now forever known as Bombshells). 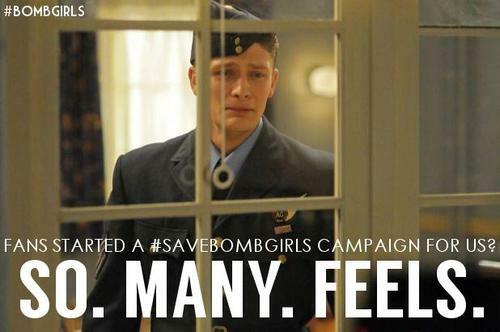 It didn’t take long, however, for certain Bombshells to turn their broken hearts into something more creative, and thus the passionate SAVE BOMB GIRLS campaign was born! Now, fans all over the world aren joining the fight and trying to let Global know that we need these stories, and we need these women to continue letting us join them on their journey. There are several ways to get involved, and all of them are fun, in addition to being helpful! A website has been created to pull everything together into one place, and make it easier to share all of the facets of the campaign, and exchange ideas for more! As well, there is a general account on Twitter, and a Facebook page, both updated regularly to help keep everyone in the loop. More stuff is being added every day – there is even a Tumblr page! 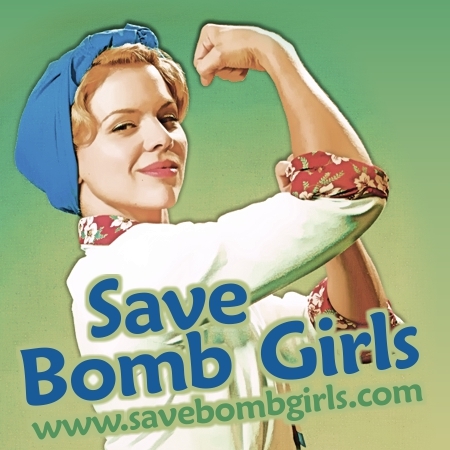 For more information, please check out the campaign press release, and the individual links above, to see how you, too, can leap into battle, and SAVE BOMB GIRLS!! !